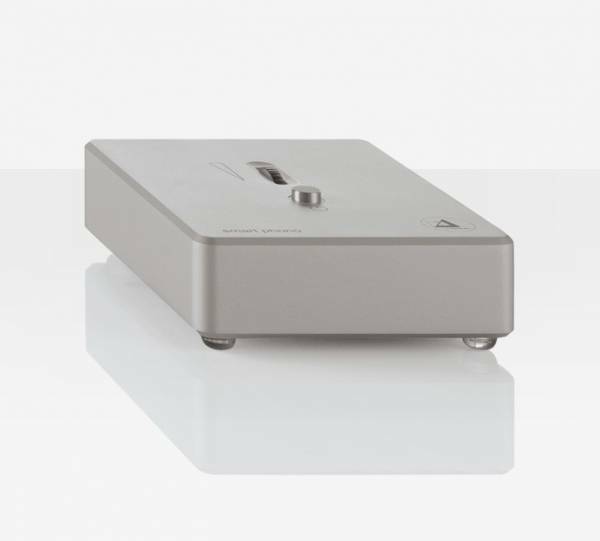 A minimalist aluminium housing that contains one of the best sounding phonostages in its market. Up to 54 decibels gain at one kilohertz and an extremely linear frequency response deliver unprecedented quality at this price point. For MM and MC cartridges there are two separate circuit designs using SMD technology, which are selected by a slide switch on the underside. Related links to "Clearaudio amplifier Smart Phono V2"
Customer evaluation for "Clearaudio amplifier Smart Phono V2"